The Psychic Secrets of Alex-Leroy (Techniques of Stage Clairvoyants, Platform Mediums, Spiritualist Psychics & Faith Healers, Tarot Readers and Astrologists! PLUS: The Ultimate Work on the Mentalism Questions and Answers (Q and A) Style Act. Having purchased products from Alex in the past and performed impromptu many of the mentalism material learned after my own hypnotism show I was looking forward to reviewing this latest publication as i’ve never felt disappointed with any of Alex’s (Jonathon’s) products i’ve viewed. Firstly I would like to point out that some of the methods revealed, in my opinion are genius in their simplicity to learn and with practised patter may turn you into a what others consider a psychic or medium superstar! I tend to lean toward readings rather than the medium/contacting the dead angle and their is plenty of material here to get stuck into, especially as this latest publication also has links to video instruction which is a treasure trove in itself. The section on astrology is a gem, well explained and so simple to put into play as the system works on easy mnemonics. Included is a system to guide you through any style of reading you prefer, ive used this system as a framework for my readings for years now and once again with a little practise of impromptu patter this system is dynamite, used along with the astrological system this will make your readings awsome. Having read – The Psychic Secrets Of Alex-Leroy, and being part of the Paranormal scene since I was 15, I can honestly say, I have witnessed first-hand many of the techniques, used in this pdf- that have both fooled me in the past and many others alike, so called paranormal experts too…. You see although what is taught, may seem simple (it pretty much is) the way peoples minds work, this is what creates the phenomenon, the reaction the hits!!! Just as with magic, some of the best effects happen, within the person’s own mind!! As always Alex aka Jonathan Royle is overdelivering, and revealing the REAL secrets of the entertainment world. In this instance opening up completely about the world of psychic entertainment. This Book is a COMPLETE course on all things psychic, and is clearly the result of many years working as both a psychic performer, hypnotist, mentalist, and all round performer. Not only are you getting the REAL secrets of how to conduct a full legth psychic/ mediumship show… but you even get the details that would allow you to work full time offering tarot readings, psychic counselling etc. Not to mention the tips and advice about how to actually get the work through the publicity tips and advice on standing out from the crowd. The kind of tips that only come from tried and tested routines and real world experience. Disclaimer#1: Been Favored with a Review Copy. Disclaimer#2: Feeling quite overwhelmed now due to the detailed and eye opening Techniques provided. Their smooth Description blew out quite a Firework of the associated Ideas in my Mind! 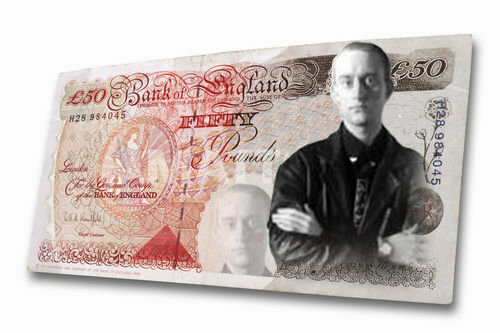 The Author, the one and only, the amazing Alex-LeRoy is sharing an astonishingly direct to the point and easy to understand and put to immediate use bundle of tested recipes in effecting and duplicating all the major feats of the famous name psychics whom are “apparently” not just in the business of performing clever tricks. This Book is neither for timid minds, nor a noob! It comprehensively covers all the bases. with performance notes and, very importantly, explanations of the psychology behind the performance. Even the choice of background music is covered. This is one of those rare priceless books which not only teaches valuable effects, but it also outlines a whole professional psychic show from Alex’s own personal repertoire. Ok so I have just got through reading a copy of this latest piece by Alex Leroy aka Jonathan Royle. He covers a lot of ground in this work, not all of it is to my taste and Jonathan himself acknowledges that there are potential moral challenges faced when presenting some of this material. The argument for sharing the how’s and the why’s of how some of these ‘miracles’ occur is that by sharing this knowledge it will/can open people’s eyes to the scam artists that operate and prey on the vulnerable. It would indeed be possible for someone to learn this material and to present a show that served to debunk the would-be scammers. Some of the material I have been familiar with through other sources, most of which Jonathan claims to pre-date (I use the word ‘claims’ simply because I do not possess the knowledge of publication dates to validate nor dismiss the claim), either way it is useful to hear it from another source and in a slightly different way as it gives more food for thought and presentation ideas. There is one piece in particular in which I disagreed with the information presented. The piece referred to the base chakra as being aligned with the navel. The base chakra (mooladhara) is aligned with the ovaries and gonads, I believe the chakra that he is referring to is the sacral chakra (svadisthana), although this sits below the navel area in the sacral region this would then make more sense with his colour choice of orange – red relates to the base chakra, orange to the sacral chakra and yellow to the navel chakra (manipura; at the solar plexus or navel). Now it may seem that I am splitting hairs here, especially when considered against the knowledge that it is all trickery, ‘smoke and mirrors’, persuasion etc. However, I am a Yoga instructor amongst other things so this information if presented as part of an act would have destroyed the performers credibility in my eyes. Whilst we as the performers know it to be trickery, we want our audiences to believe and, importantly, they want to believe. Given the number of people who practice Yoga nowadays and the amount of information readily available on the Chakras, it would make sense to get this level of detail right prior to presenting it if you want to keep your audience ‘on-side’. As I said earlier, Jonathan covers a lot of ground in this work so it’s not surprising that not all of it resonates with me, there is sufficient information contained within to make its reading a worthwhile endeavour and the techniques he shares are simple and they have been tried and tested over time. these techniques (the ones Chris is unsure about) before the recent day “Famous Names” is easily supplied by virtue of the fact that Club 71 published many of them in 1996 and 1997 as submitted to them by me in 1995 and The Supreme Magic Company’s Magicgram Magazine published others back in Circa 1993/1994 time. Also various respectable people who can easily be checked with (should anyone desire) are quoted as confirming that they have seen the evidence and proof that International Newspapers featured me performing these things as far back as 1990/1991 times. This is many books in one, covering psychic skills, cold reading and tarot reading to name just a few. Full of links (some secret) to YouTube videos, ebook and more….. Also references to books that will help skyrocket your succes in these areas. guarded secrets for “Psychic Success” Unreservedly reccomended. The Psychic Secrets of Alex LeRoy is an important addition to the library of any psychic entertainer, magician, or mentalist for two reasons; it provides a wonderful insight into the workings of the fake psychic business, and it is full of practical material. 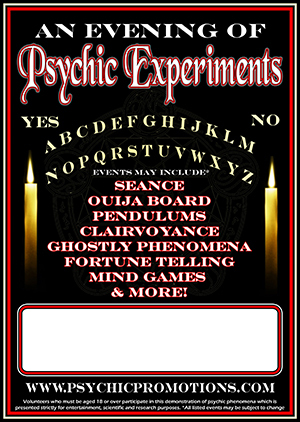 We all know about the fake psychic business, but most of what we know is guesswork, supposition and speculation. But Alex has actually worked this business. He has toured the country as a psychic, and his insights are fascinating. In this book you get the nuts and bolts of what it takes to actually run a psychic show. This is worth the price alone, but the chapter on how to do an actual reading is priceless. Many books explain the basics, but Alex gives the dirty little tricks that allow you to sell a reading as the genuine thing. His insights cannot fail to make your readings far stronger. If this was not enough, Alex has also included information on a number of related topics, such as the Abnormal Lift. All in all this is a highly recommended publication, full of insight and genuine material. A really Great book, I really enjoyed it. “If you’re a lay person and want to know how ‘psychics’ perform some of their ‘miracles,’ this book is something that you’ll want to read. If you’re a mentalist, magician and published author like me (for over 40 years!!) and never tire of learning, you’ll want to read this book, too. “The author touches on hypnotism, as well, and any hypnotist or psychotherapist would, I think, find pages 39-40 to be most informative. 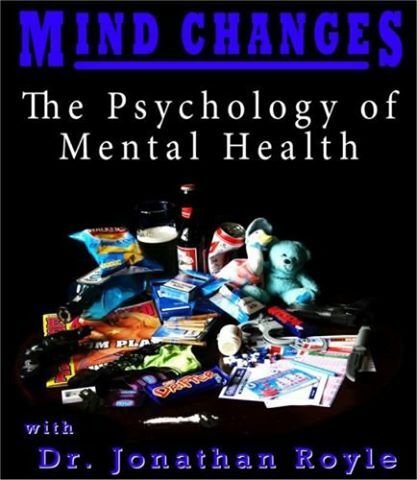 I’m a certified professional and consulting hypnotist and a master’s in counseling student, and I think that the theories offered on these two pages on why ‘change’ happens, whether in a hypnotic or therapy session, are pretty ‘spot on’ and well worth knowing. 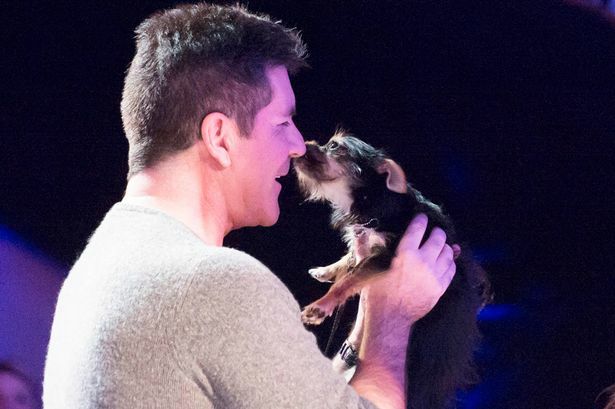 TRUTH ABOUT HYPNODOG – Was Britain’s Got Talent Hypnotist Dog Real or Fake? Are Krystyna Lennon and Princess the Hypnodog Genuine? 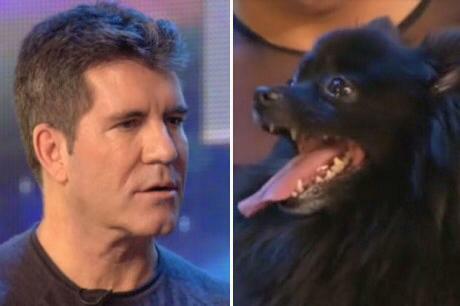 HYPNDOG ON BRITAIN’S GOT TALENT – REAL OR FAKE?? and further down this page you will find out exactly how! The TRUTH is that what was not revealed on the show was the very real fact that everybody who was “Hypnotized” has seen Krystyna Lennon and Princess the Hypnodog for about half an hour BEFORE what we saw on stage took place. Well in truth it was most likely just a wonderful Publicity Stunt engineered on Simon Cowells part to promote the show, something he no doubt discussed with his best friend for whom he is soon to act as Best man World Famous Hypnotist Paul McKenna. However YES it is possible for a Dog to Hypnotize somebody so long as the person who is going to stare at the dog BELIEVES that such is possible and EXPECTS it to occur. But by the same token if somebody BELIEVED that staring at a Ventriloquists Dummy would put them into a Hypnotic Trance State and to “Sleep” then if they Believed this was possible and EXPECTED it to occur and take place then indeed most likely it would. And also by the same token if somebody BELIEVED that staring at a young Baby would put them into a Hypnotic Trance State and to “Sleep” then if they Believed this was possible and EXPECTED it to occur and take place then indeed most likely it would. You see, in truth HYPNOSIS AS SUCH DOES NOT EXIST, by that I mean there is no Such Thing as Hypnosis, There is only SUGGESTION. And so if the Suggestion of something occurring is BELIEVED and EXPECTED to occur Enough then most often it will. On a side note some people sometimes seem to become “Hypnotized with Fear” if they are scared of a dog and see one, but that is the FREEZE component of the human body’s natural Fight or Flight Response and does not have anything to do with so called real hypnosis other than the fact it is an inbuilt CONDITIONED RESPONSE. A similar thing occurs with Animals when they are scared or when they are put into certain physical positions which is where the videos on You-Tube of people apparently Hypnotising Chickens and rabbits and such like come from. 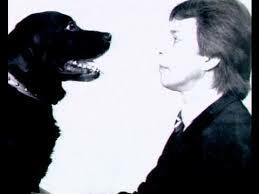 Pictured above is Krystyna Lennon’s Uncle, the now retired Hypnotist Hugh Lennon who started the Hypno-Dog act in England with Oscar the dog, I am proud to say that in the past I have advised Hugh in relation to the legalities of his show and have enjoyed seeing his world class performances on several occasions. NLP and Hypnosis Conferences – Why Not Book One of the Worlds Most Outrageous, Controversial and Outspoken Truly Successful Hypnotists and NLP’ers to Speak At Your Events?? proposals for “Talks” and “Presentations” they could give at their conference. A short blurb (max 50 words) outlining the session including why people would be interested in attending. wide experience of Presenting Such talks at such events. Delivery Style – Mainly Presentational but some Interactive Elements. 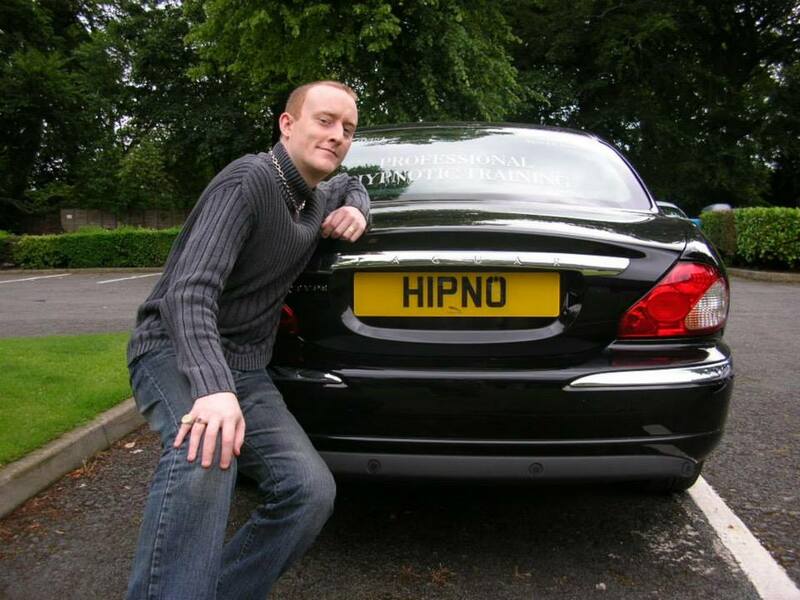 Coaches and NLP’ers you either need to dramatically raise your prices, see more clients, both or better still discover the secrets the truly Rich, Famous and Successful names in our industry use to create Multiple Streams of Passive income so that they are earning big profits 24 hours a day (even whilst sleeping). Put these tried, tested and proven to work systems to work in your business and you can be earning more money on autopilot and helping far more people with your NLP and related skills around the world than you perhaps ever dreamed possible. As a fortunate consequence of putting these systems into demand you will also be able to easily and effectively raise your one ot one and group consultation fees massively wihtout meeting resistance. Having Shipped Millions of his Books, Products, Courses, DVDS and other related products to all four corners of the world over the years Royle is pefectly placed to reveal these strategies to you. BLURB: Royle is the Creator of Complete Mind Therapy (CMT) and also Mind Emotion Liberation Techniques (MELT) which is also known as Mental Elimination of Lifes Troubles or Mental Energy Life-Ehancing Techinques! Using these techniques that he developed close to 20 years ago now, Royle has successfully treated within a single treatment session most every person with most every issue you can think of from A through to Z within a single 60 to 90 Minute treatment session. Often for TV & Radio Shows, Theatre Shows and Media Interviews, thanks to his M.E.L.T approaches, he has been able to eliminate Habits, Fears, Addicitons and Phobias wihtin literally a matter of 5 minutes or less. These techniques are like NLP on Acid, the experienced Practitioner will learn tons of use with their clients and the complete Novice will be shot to advanced level in next to no time. Along the way Royle Reveals THE TRUE SECRETS of how and why NLP and Hypnosis related treatment Strategies work (when they do) and conseuqently when you understand this you will become a Far Better and more Successful NLP’er and Hypnotist. BLURB: Raising Your Profile and regularly being featured in Local, Regional, National and International Media Publications and on Television and Radio Shows is one guaranteed way to raise your profile and when done correctly also a guaranteed way to massively raise demand for your services and consequently enable you to dramtically raise your consultation fees without fear of any resistance. Royle has over the past 25+ years been featured on Literally 100’s and 100’s of TV and Radio Shows around the world and in print media around the world, often being linked with his “Mind Skills” to some of the Worlds Highest Profile Celebrities including the time he was featured in a large article in Americas Largest Read Publication “USA Today” where he was involved in a theraputic intervention with Robert De Niro as part of the Publicity for the launch of the “Analyse This” and “Analyse That” Films. Royle will reveal the True Inside Secrets and usually jealously hidden insider tricks of the Publicists and Promoters who keep their clients in the headlines. And of course Royle will reveal all the nasty tricks the media use to try and trip people up and make them look bad so you can avoid them and remain looking posiitve at all times! This is your chance to become the “Go To Expert” in your “Niche” area of the industry and grab hold of the success you deserve. Delivery Style – Mainly Presentational but lots of Interactive Elements. 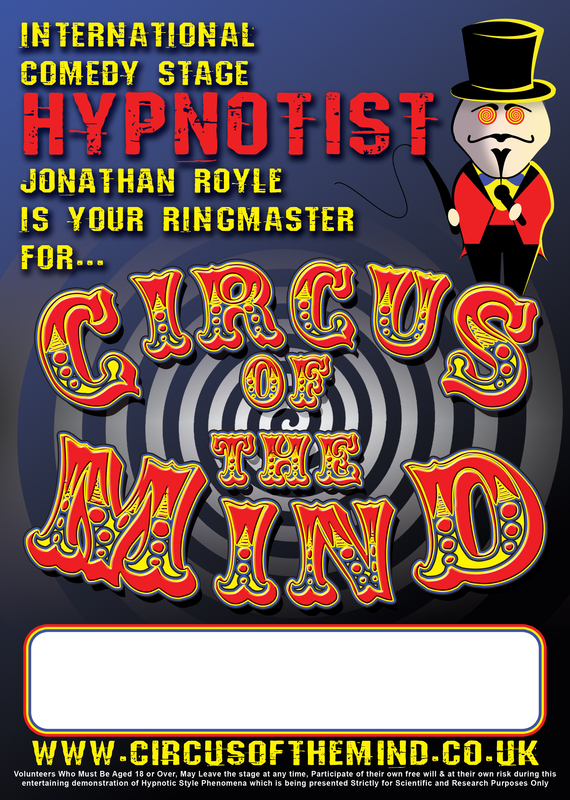 BLURB: Having arguably taught the vast majority of truly successful working Stage Hypnotists around the world today and himself having been a Comedy Stage Hypnotist since 1990 having appeared all around the world and on numerous Television Shows, Royle is perfectly placed to teach you all the innermost secrets of entertainment style Hypnosis. 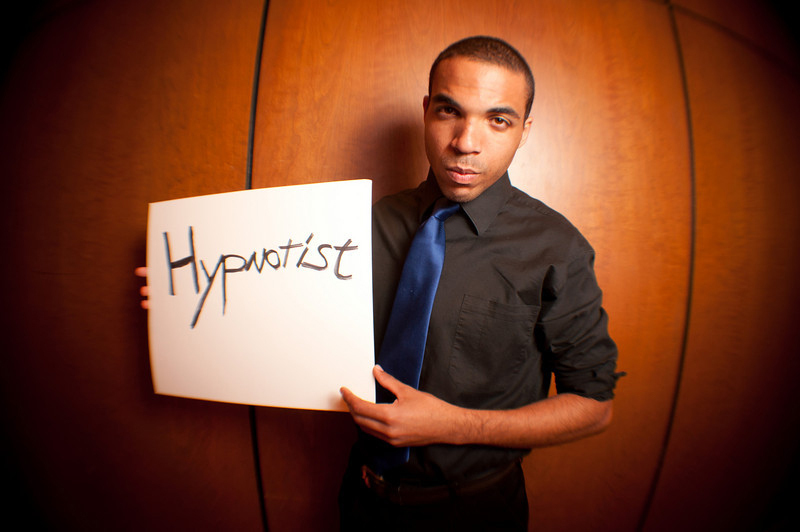 Whether your desire is to perform your own Hypnosis Show or just to use some of these techniques in any public demonstrations you give to attract more Hypnotherapy clients this class will show you exactly how to Hypnotize people anytime, anyplace, anywhere in a fully legal, ethical & SAFE manner at all times! NAME OF SESSION = Art of Speed Trance Rapid & Instant Hypnotic Induction Techniques. BLURB: During this truly eye opening class Royle will reveal the true inside Secrets of how Rapid & Instant Hypnotic Inductions work and how they can work for you both in the therapeutic consulting room as well as for public demonstrations and for TV, Radio & Media Interviews. Mastering these techniques will help make you a far more confident and competent Hypnotist & Hypnotic Practitioner in all that you do. You will also learn many convincers and suggestion tests that are 100% Guaranteed to work 100% of the time with 100% of the people thus massively increasing your ultimate success rates in all you do. NOTE = They are listed above Proposal One, Two, Three Four & Then Five. I would be prepared to deliver ALL FIVE of the Presentations over the course of Two Days or longer. Indeed any of these could be a complete stand alone one day masterclass should you so desire. And needless to say I can also offer 1, 2 & 3 day long Seminars and workshops for pre and post convention events upon request. It should go without saying, but should you engage me to speak, then I shall reserve the right to offer some of my products for sale at the back of the room and would of course also require a stall in the Dealers/Traders area. As a matter of course for such events, I also as a rule, usually demand that my travelling and accommodation expenses are covered, however this can be negotiated if you can guarantee a large attendance. 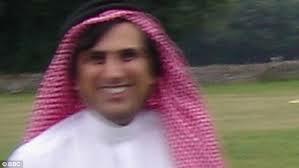 Have You Ever Been Convicted Due to a Mazher Mahmood “Fake Sheikh” Sting? Or Do you Know Someone who was Set up by Mahmood? Either way Please Get them To Contact Siobhain Egan at Lewis Nedas Law Urgently for information on how they could possibly Appeal their conviction! Siobhain Egan of Lewis Nedas Law as a matter of extreme urgency. Comedian Howie Mandel Hypnotized by Comedy Stage Hypnotist Chris Jones Whilst Judging on Americas Got Talent (AGT) by Hypnotist Contestant to Overcome his Fear and Phobia of Shaking Hands, Touching People and his Obssesive Compulsive Disorder (OCD) – Is This Hypnotherapy Hypnosis Cure For Real?? 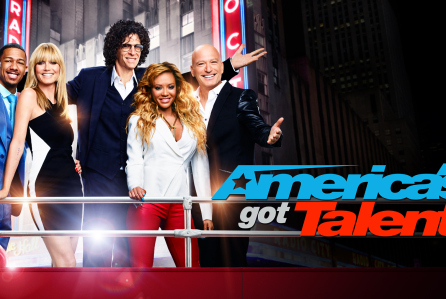 You can see a few seconds of it occuring during this trailer video for the 2015 Americas Got Talent Television Show and you will notice that once instructed under Hypnosis that everybody is wearing gloves (which are purely imaginary) Howie is seen to shake peoples hands without any hesitation as though his long term Obsessive Compulsive Disorders (OCD) and also Phobia and Fear of Shaking Hands had been cancelled out by him being Hypnotised or overcome thanks to the power of the mind and the Hypnotist using his Hypnotism and Hypnotic Suggestions. The big question lots of people are asking is whether or not Howie Mandels Obsessive Compulsive Disorder (OCD) and also Fears and Phobia of Shking Hands, Touching People and Getting Dirty Etc could possibly be cured for the rest of his life using Hypnosis? 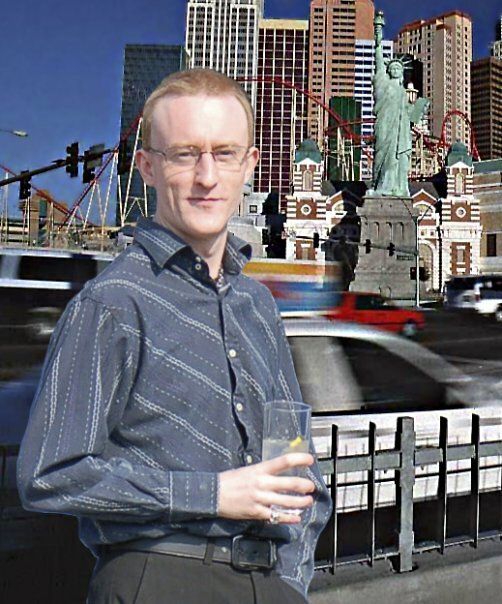 Well as an Experienced Hypnotherapist and NLP Hypnotherapy Practitioner of 25 years at time of writing this I can state from my hands on real world experience that OCD and issues such as this most certainly can be overcome and cured positively and permanetly forever using Hypnotherapy and Related Hypnotic Psychological Treatment Techniques. 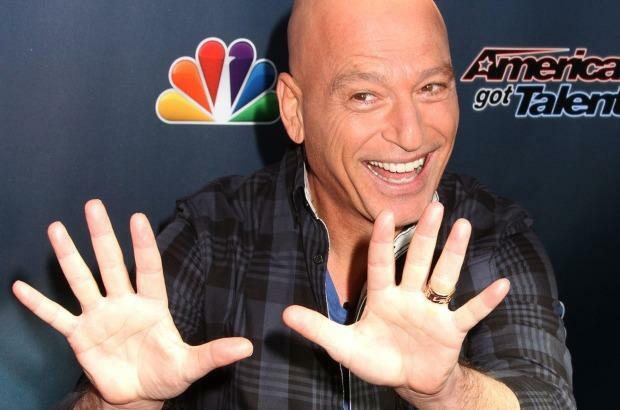 However it would be true to say that for what you will see on screen to last in every day life, a much longer session between the Hypnotist and Comedian Howie Mandel would have to take place back stage before or after the show. But realistically within an approx 90 minute or so targeted treatment session the issue of Mysophobia a Fear of Germs could most likely be overcome forever. Indeed Hypnotherapy is very powerful, however my technique of Complete Mind Therapy is even more powerful as it combines the best and most powerful proven techniques of Hypnotherapy with the most effective elements of Neuro Linguistic Programming (NLP), Creative Visualisation, Mind Emotion Liberation Techniques (MELT) and other cutting edge Psychological Treatment Methods. Here in this “Virtual” online 90 minute Treatment Session, you may be able to overcome any Habits, Fears, Phobias, Addictions, Habits or other issues that you may have from A through to Z by simply following the simple instructions in this 90 minute video. 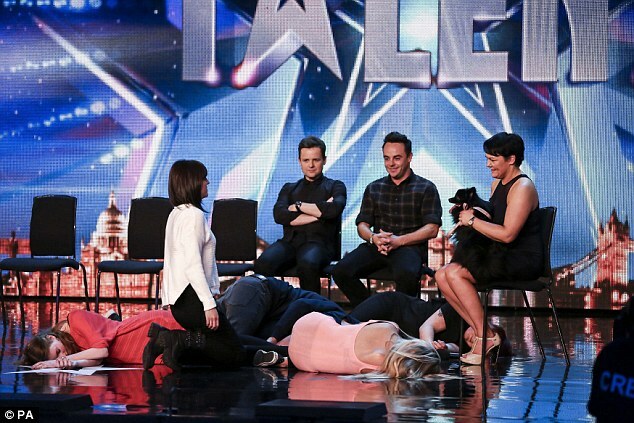 Another thing lots of people are asking is, whether or not it is truly possible to apparently hypnotise people in seconds like you see on Television and in the Americas Got Talent Clip earlier on this page. 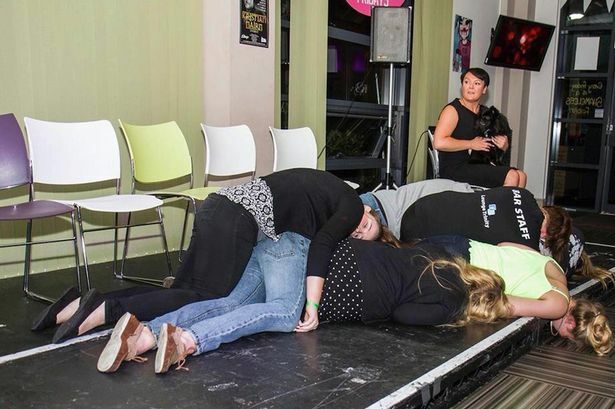 So Yes HYPNOSIS IS VERY REAL INDEED and it truly can help to change peoples lifes for the better. 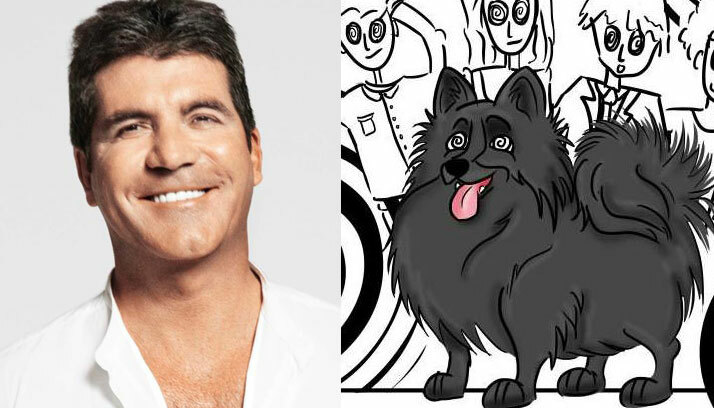 Meanwhile the British Version of the “Got Talent” show is about to begin and on Britain’s Got Talent this year we are going to be treated to Judge and show creator Simon Cowell being Hypnotized by a Dog named Princess and her Hypnotist owner Krystyna Lennon. 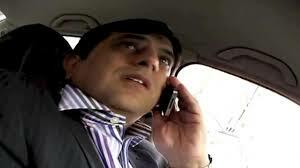 The List of people going after Justice and Exposing the REAL TRUTH about Ex News of the World Journalist Mazher Mahmood is growing all the time….